St. Jude is leading the way the world understands, treats, and defeats childhood cancer and other life-threatening diseases. Because St. Jude freely shares its research, one child saved at St. Jude means that doctors and scientists can use that knowledge to save thousands more children worldwide. At. St. Jude Families never receive a bill for treatment, travel, housing or food- because all a family should worry about is helping their child live. 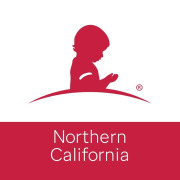 Join us in our fight against childhood cancer by volunteering with our Northern California office. Would you recommend ALSAC/St. Jude Children's Research Hospital- Northern California?